Choose the perfect size, select the coziest fillers and pick from the design industry’s latest home fashion fabrics. We’ve partnered with the design industry’s favourite fabric suppliers to deliver beautiful Toss Cushions. Our fabrics have the richness of the patterns, textures and colours that inspire our Toss Cushions, custom draperies, upholstery and valances with unsurpassed beauty. Custom Pillows And Toss Cushions Completely Customized For You! 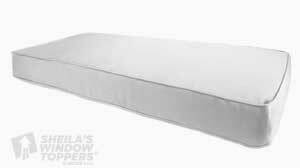 Our experienced staff at Sheila’s Window Toppers will help guide you through all of the custom Toss Cushion customization options. We can help you add stunning embellishments including trims, fringes, tufting & more! Accessories make a room feel unique and individual. They keep one person’s decor from looking like someone else’s. Toss cushions are an accessory that can bring colour and texture into a room. Consider how different your space can look with toss cushions. You can use cushions on both chairs and sofas, and they help to soften the lines of contemporary furnishings. The best part of pillows is the way the fabrics can incorporate all of the colours in the room. If your home needs to be freshened up, or if you want to add some colour and texture to your surroundings, just throw some pillows on the sofa and you’ll see how they change the look of your space. They aren’t called “Toss Cushions” for nothing! Add that touch of luxury today with feather Toss cushions from Sheila’s on Crowfoot! At Sheila’s on Crowfoot we can make any size or shape of Toss cushion you need. Starting at $12.00 for a luxurious feather form and $25.00 labour, our accent cushions are an affordable way to transform your room. You will also find many Toss cushions already made in our Crowfoot Showroom, ready for you to take home. Prices starting at $30.00 per feather cushion. 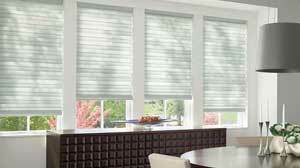 Full line of window coverings including blinds, shades, shutters and much more through our Hunter Douglas Showroom. 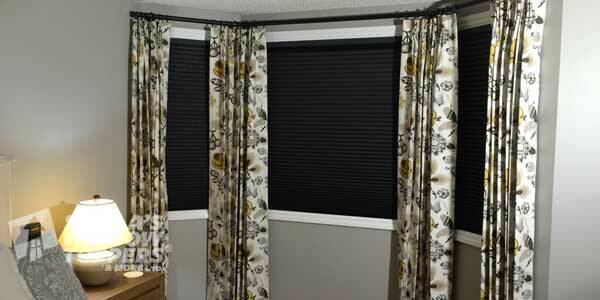 We have blinds for every budget and every window!